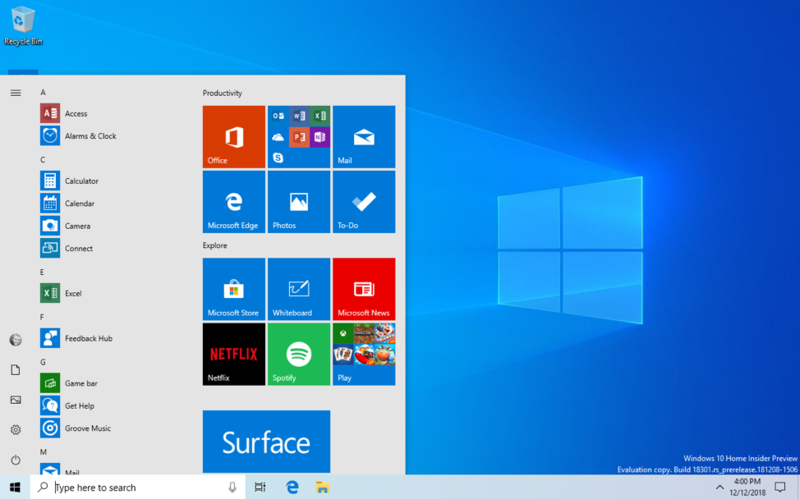 The Windows Insider Program lets you preview builds of the upcoming release of Windows 10. 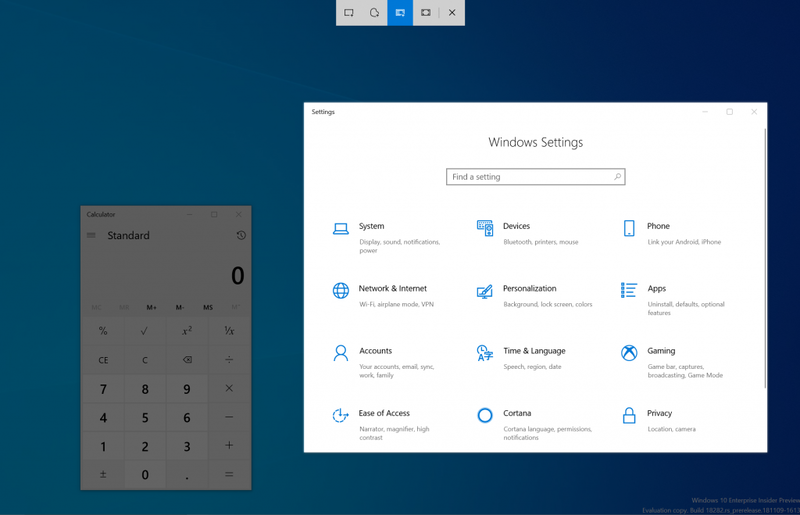 This topic lists all new Windows 10 features for you to try. 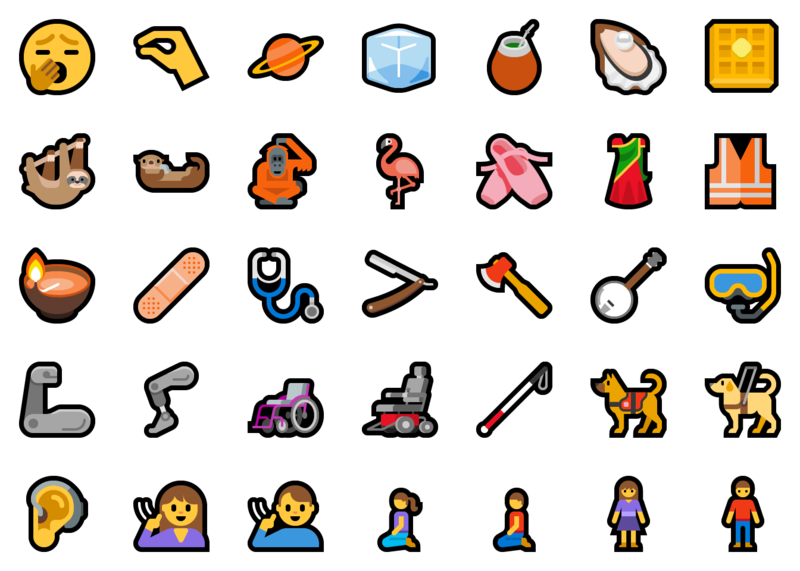 With Build 18277, Insiders got their first look at the Emoji 12.0 emoji. 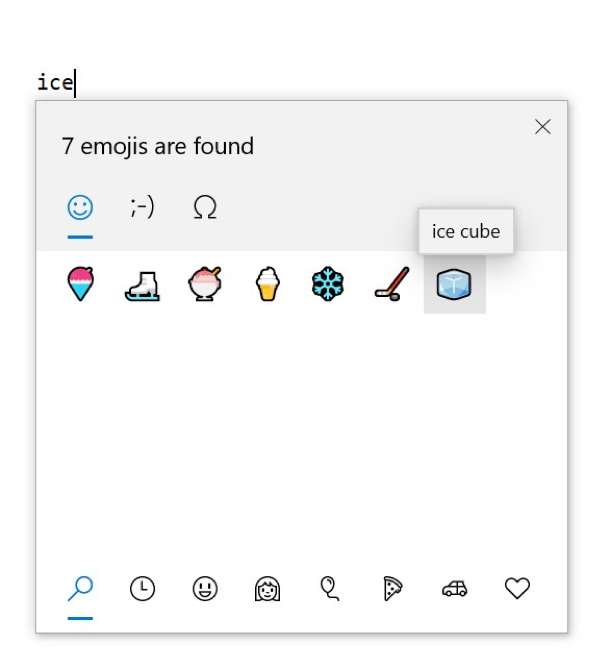 In early February, the set of emoji to be included with Emoji 12.0 was finalized by Unicode, and with today’s build, when you press WIN+(period) or WIN+(semicolon), all of these emoji now have keywords hooked up to make them easy to search for. Try it once you install the build! Keywords include otter, sloth, waffle, ballet shoes, and more. If you haven’t tried it already, be sure to also check out our new Kaomoji and Symbols section in the picker. Thanks to everyone who signed up to try out our new Windows gaming technology in Build 18334. With this new build, we have some fixes that we can’t wait to have folks try out: the game now runs correctly with parental controls enabled, and the install process is more stable (including a fix for the game being stuck in “Pending” instead of downloading). 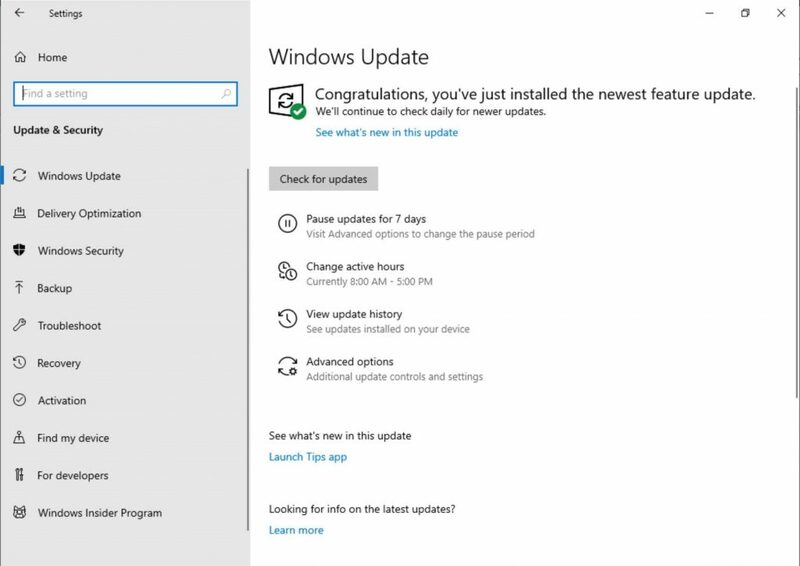 Follow the instructions from Build 18334, skipping any steps you’ve already completed above. 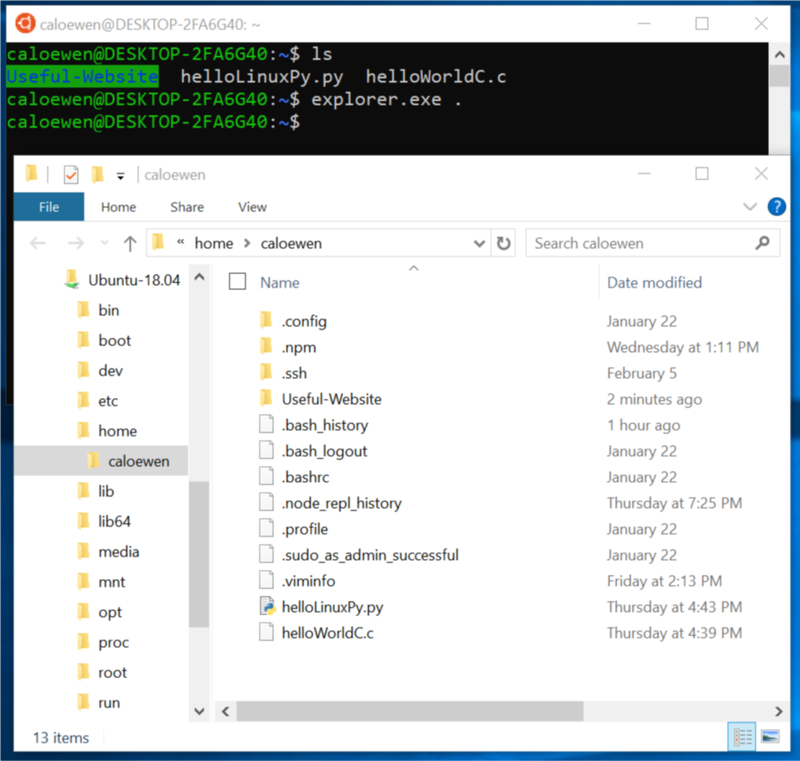 We added the ability for users to access Linux files in a WSL distro from Windows. These files can be accessed through the command line, and also Windows apps, like File Explorer, VSCode, etc. can interact with these files. Access your files by navigating to \wsl$<distro_name>, or see a list of running distributions by navigating to \wsl$. Learn more about accessing Linux files inside File Explorer. 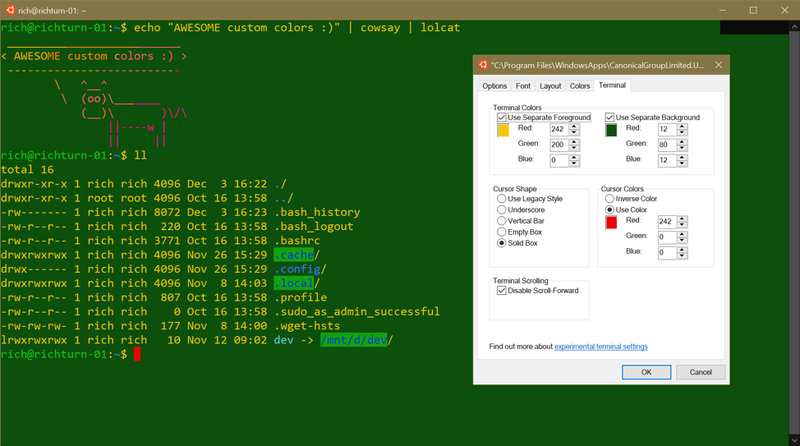 Windows Sandbox now supports configuration files. These files allow users to configure some aspects of the sandbox, such as vGPU, networking and shared folders. You can read about all the details here in this blog post! As part of the game launch, you’ll be prompted to install DirectX. This is for testing purposes, so go ahead and do the install, and the game will launch afterwards. If you find any issues with the install, or if the game fails to launch, please file a Feedback Hub bug under the Microsoft Store category (pick Download or Install depending on your issue), and include WindowsGamingFeedback in the title. Get quick access to the apps that you use the most, just open Search Home and you’ll see them under Top apps—no typing required! One more way Search helps you find the things you need. This change is rolling out server-side, so you may see it outside of the bounds of this flight. 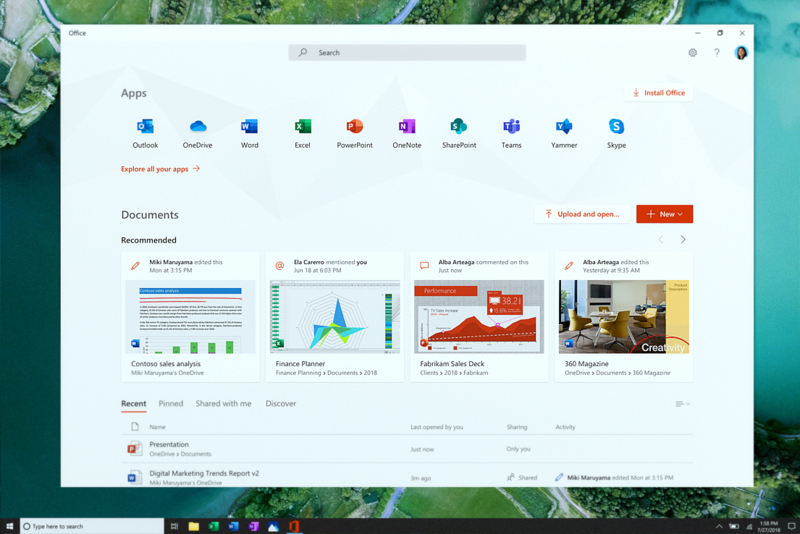 This change is also one of several we’ve made throughout this release to improve your experience in this space, including updating the search landing page design, enhancing your search results, and integrating Microsoft To-Do with Cortana. Stay tuned for more improvements. 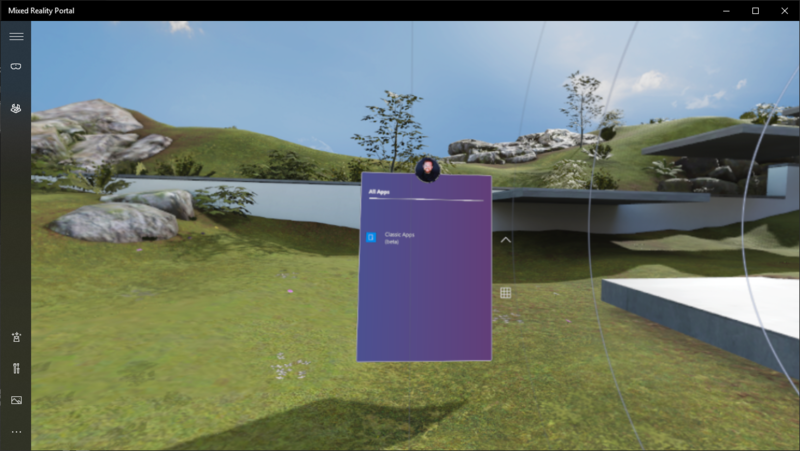 In this update, we have added the ability to launch Desktop (Win32) applications (such as Spotify, Paint.NET, and Visual Studio Code) in Windows Mixed Reality, just like how you launch Store apps. Please keep in mind this is feature is still in development and we are actively working on addressing bugs. You may find ways to “break” the feature, and when you do, please file a feedback via Feedback Hub! To use this feature, bring up Pins Panel, then go to all apps, where you will find a folder named “Classic Apps (Beta)”. 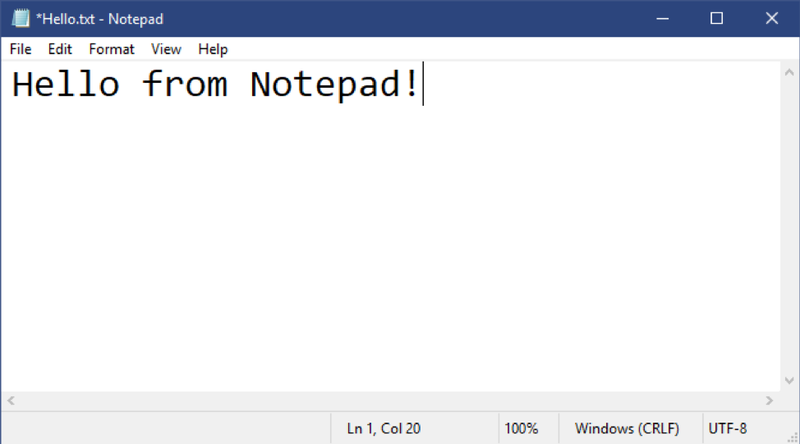 In this folder, you will be able to select and launch any Desktop (Win32) applications. 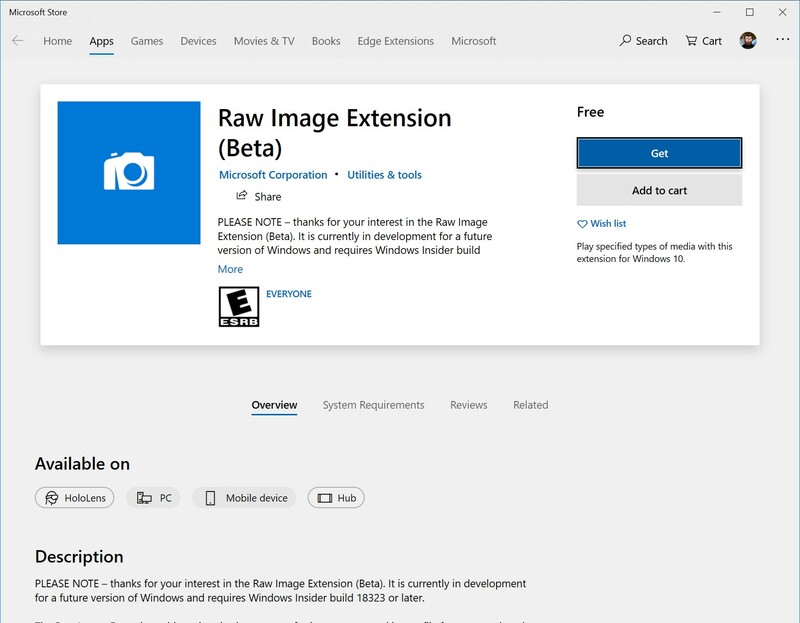 Do you like taking pictures in Raw image formats and wish that the Raw files from your camera were natively supported by Windows? Good news! Targeting 19H1, we’ve been working hard to release a new store-delivered Raw codec package that dramatically improves native raw file format support in Windows. We would love to get your feedback. Please send your feedback through Feedback Hub under the “Devices and Drivers > Video Playback” category. 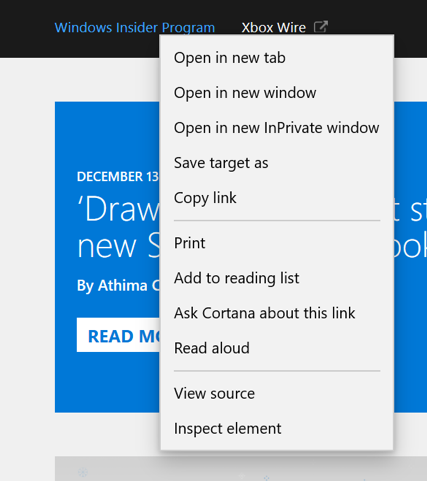 Other available Search and Cortana settings have also now been split between the two, along with the familiar group policies. If you have any feedback, please don’t hesitate to share it with us here. As some of you may already know, up until now Start in Windows 10 has been hosted by something called ShellExperienceHost.exe. In order to provide you the best possible Start experience, we’re separating it into its own process, called StartMenuExperienceHost.exe. This has a number of benefits, including simplifying debugging and insulating Start from potential issues impacting other surfaces. This has been running as an experiment for a few weeks now and we’ve seen measurable improvements in the reliability amongst those that have the change, so we’re rolling it out to everyone. We’re also making a change so that Start no longer suspends, which improves launch time. We are introducing a simplified Windows Insider Program Settings page via Settings > Update & Security > Windows Insider Program with Build 18317. 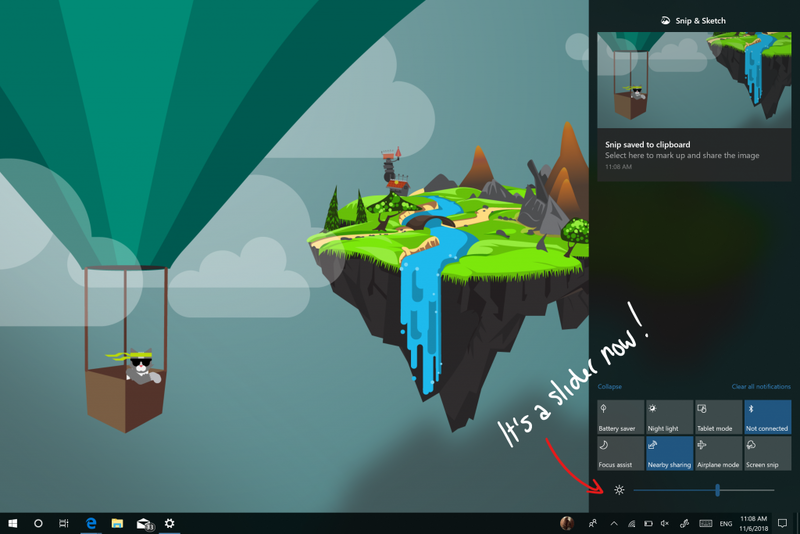 The goal is to make the end-to-end experience of signing up for the Windows Insider Program and setting up your PC to take new builds much easier by simplifying the experience and removing some of the clutter. You’ll find that all the same functionality is still there. 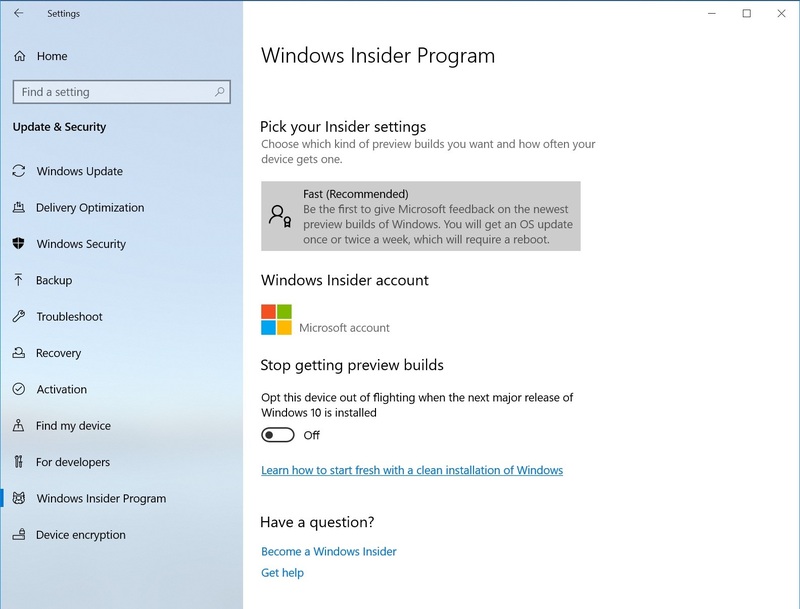 Under “Pick your Insider settings” is where you can change your Insider ring on your PC. 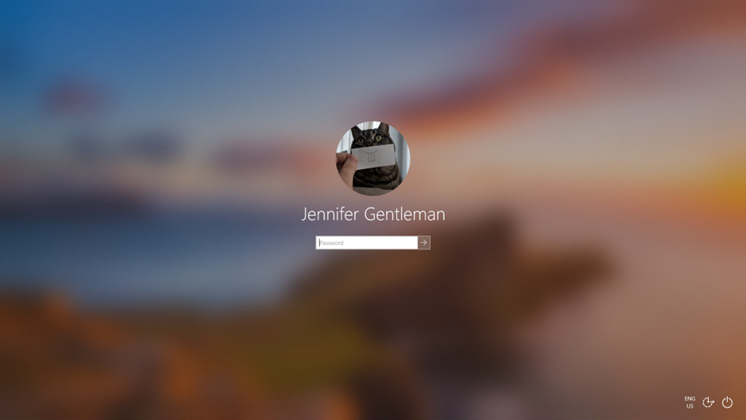 We know remembering a PIN can be tricky, so we wanted to provide our Microsoft account users with a revamped Windows Hello PIN reset experience with the same look and feel as signing in on the web. Check it out in today’s build by clicking the ‘I forgot my PIN’ link when signing in to Windows with a PIN. Insiders can try it out on all Windows 10 editions. We’re pushing forward on eliminating passwords and keeping your accounts safe with another cool feature. With Build 18305, we announced support for setting up and signing in to Windows 10 with a phone number account, without having to create, or deal with the hassle of a password for Insiders using the Windows 10 Home edition. Today, that support is extending to all Windows 10 editions! 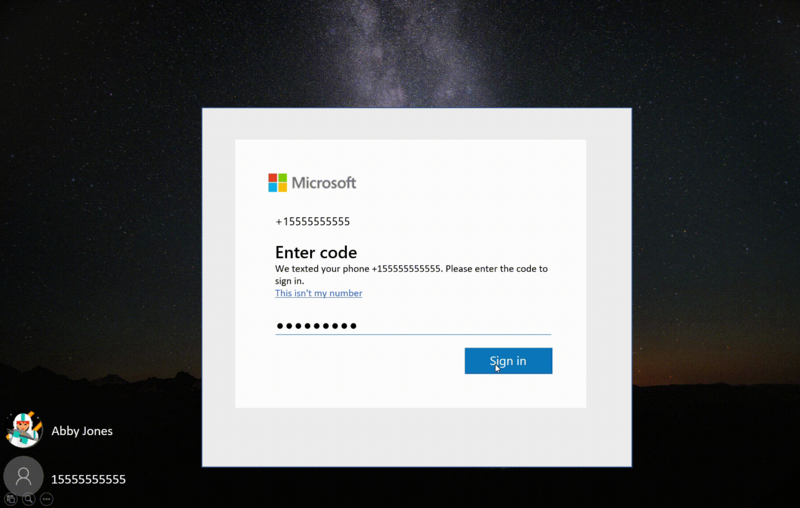 If you have a Microsoft account with your phone number, you can use an SMS code to sign in, and set up your account on Windows 10. 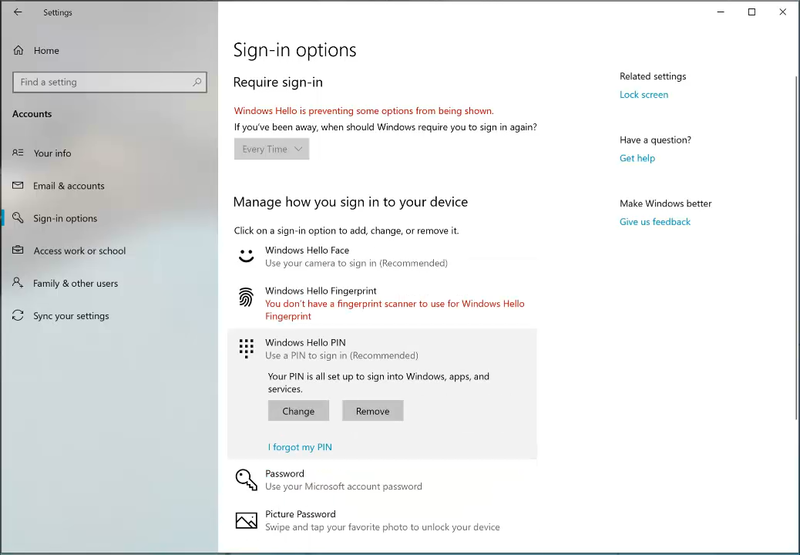 Once you’ve setup your account, you can use Windows Hello Face, Fingerprint, or a PIN (depending on your device capabilities) to sign in to Windows 10. No password needed anywhere! 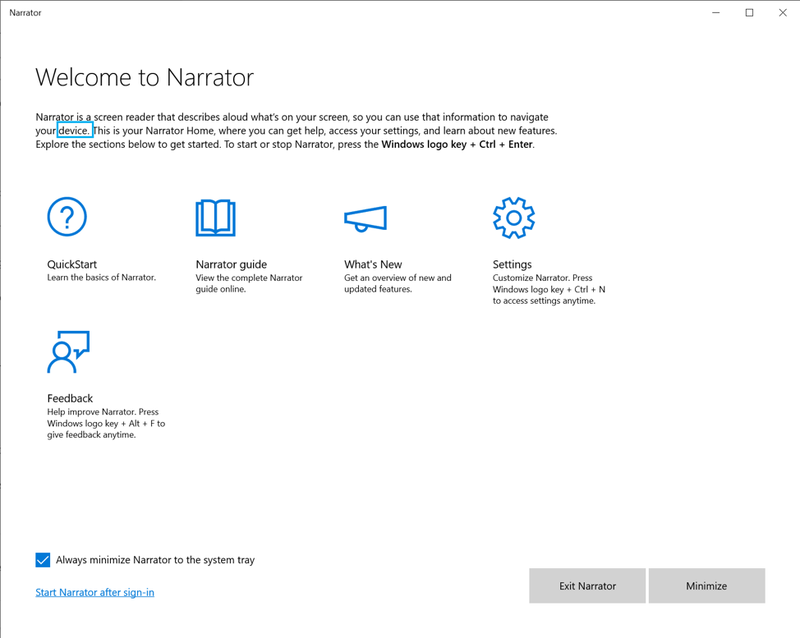 Narrator Home navigation: The main actions on Narrator Home, such as QuickStart and Settings, are now buttons and not Listview items. You are now able to tab between all of them. Read Current character phonetics: Added Narrator + 5 twice Narrator command to render current character phonetics. 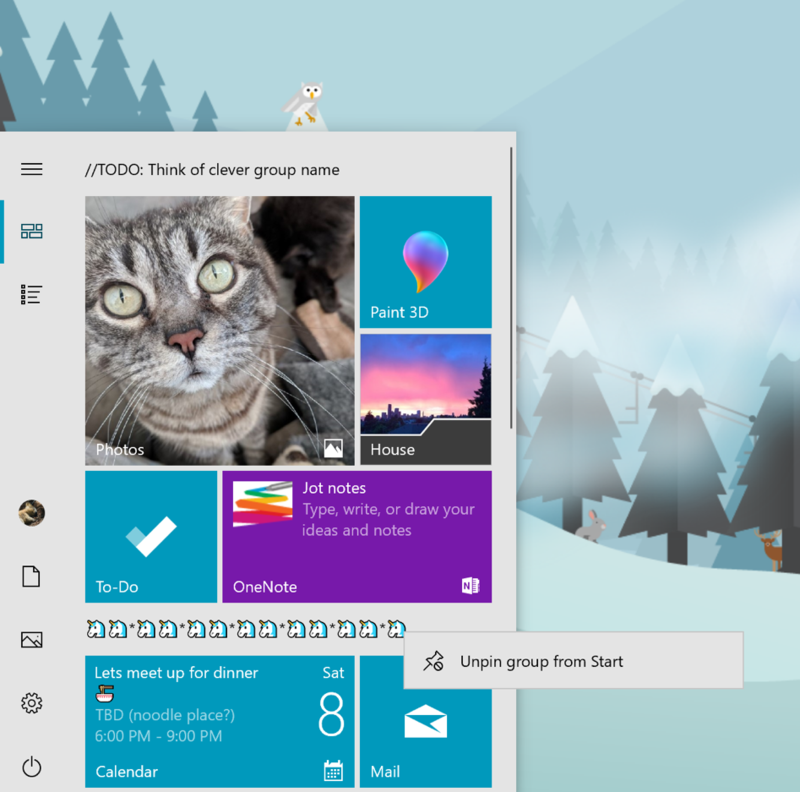 Coupled with earlier changes providing the ability to uninstall additional inbox apps, and a new way to easily unpin a folder or group of tiles, the simplified Start layout is part of an ongoing effort designed to enhance your Start experience in the upcoming release of Windows. Windows Sandbox is a new lightweight desktop environment tailored for safely running applications in isolation. How many times have you downloaded an executable file, but were afraid to run it? Have you ever been in a situation which required a clean installation of Windows, but didn’t want to set up a virtual machine? Secure – uses hardware-based virtualization for kernel isolation, which relies on the Microsoft Hypervisor to run a separate kernel which isolates Windows Sandbox from the host. To install Windows Sandbox, go to Settings > Apps > Apps & Features > Programs and Features > Turn Windows Features on or off, and then select Enable Windows Sandbox. To start Windows Sandbox, open the Start menu, enter Windows Sandbox and then select it. Windows Sandbox respects the host diagnostic data settings. All other privacy settings are set to their default values. For more information, please visit Windows Sandbox at Windows Kernel Internals. Diving more into the symbols side, you’ll find we’ve included sections for punctuation, currency, geometric, math, Latin, and language symbols. As you pick your most commonly used symbols, the most recently used tab will populate with them, so it will be even easier to select them next time. Currently only the emoji section supports type to search. 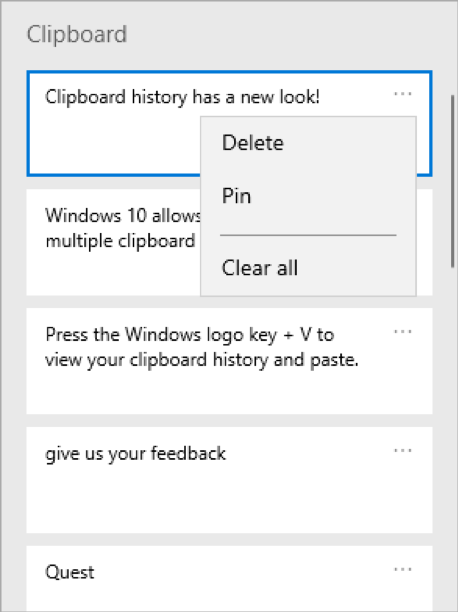 Have you already tried using clipboard history? If enabled, it allows you to save multiple clipboard items to use later. Introduced during RS5 development, we’ve been getting great feedback from everyone on this experience, and one of the things we heard most is that the UI wasn’t compact enough – a large space was used for each entry even if it was just a small text fragment. We originally opted to show bigger entries so there was space to show an image preview nicely, but when we looked at our data, we found 90% of items in the clipboard history were text. Based on that and your feedback, we now optimizing the design for text snippets – shrinking the height of each entry and thus giving you access to more entries without needing to scroll the view. Hope you like the change we made! 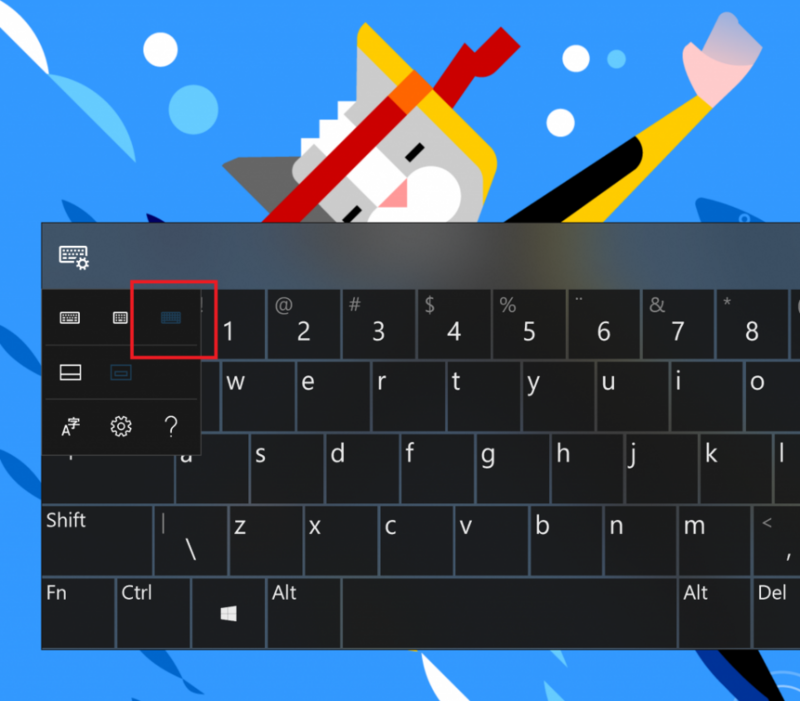 Copy some text and press Windows logo key + V to check out the updated design. We’re pushing forward on eliminating passwords and keeping your accounts safe with another cool feature. Today, we’re announcing support for setting up and signing in to Windows with a phone number account, without having to create, or deal with the hassle of a password! If you have a Microsoft account with your phone number, you can use an SMS code to sign in, and set up your account on Windows 10. 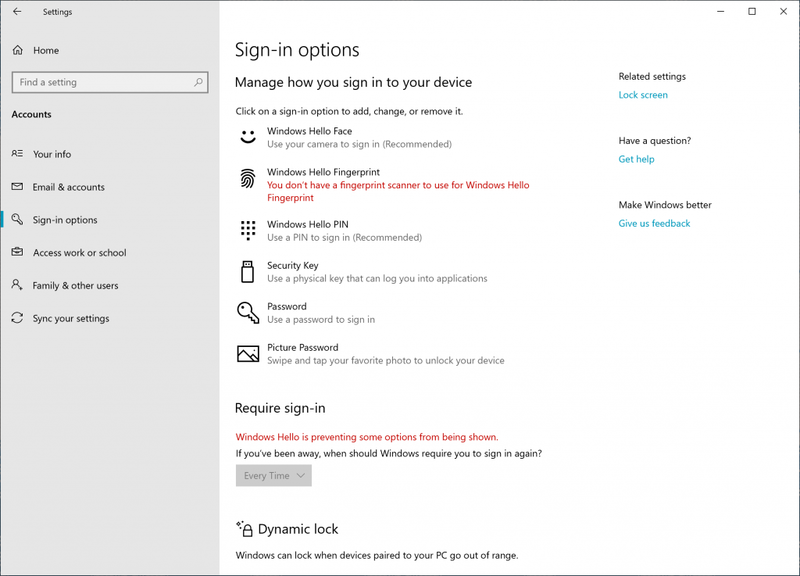 Once you’ve setup your account, you can use Windows Hello Face, Fingerprint, or a PIN (depending on your device capabilities) to sign in to Windows 10. No password needed anywhere! Note: This experience was originally available for Insiders on Home Edition and is now available in Build 18309 on all Windows editions. 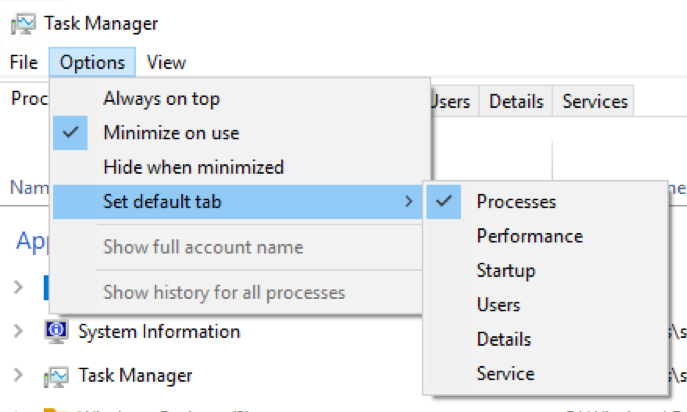 Do you have a preferred tab in Task Manager – one that you always immediately switch to? We’re happy to share you can now choose your own default tab! When you launch Task Manager, it will now to jump directly to your preferred tab. You can set your preferred tab via Options > Set default tab. 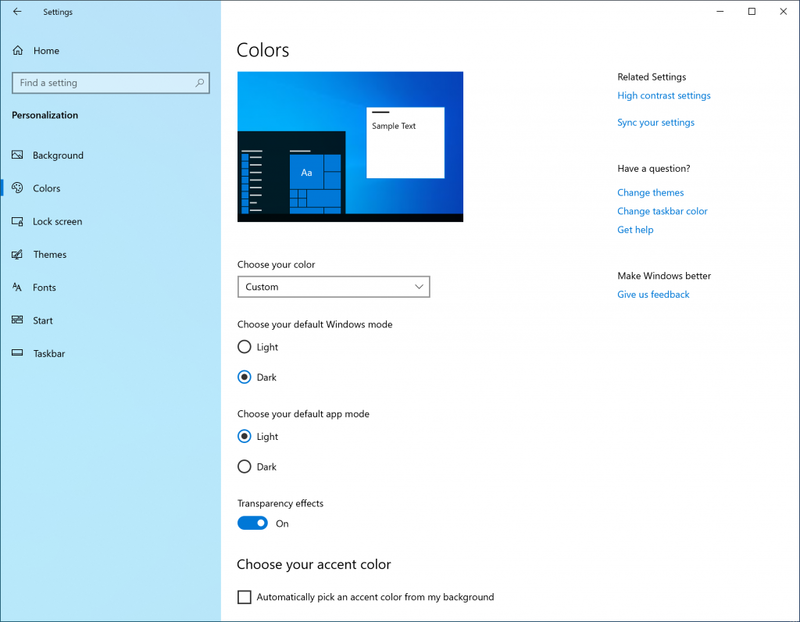 In this build, we’re introducing a new way to help users finish their Windows setup and quickly access some of the most frequently used settings. 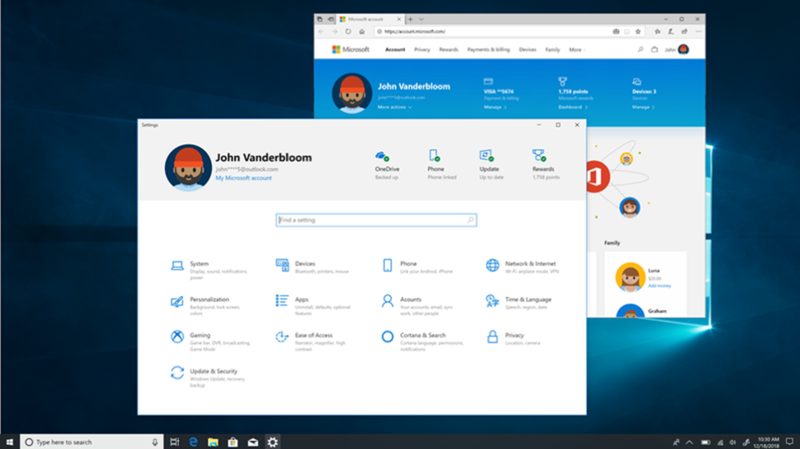 Inspired by the Microsoft account homepage, the Settings home page now has a header at the top allowing you to take quick action for things like signing in and managing your Microsoft account, making the Windows and Microsoft experience better. It also gives you an easy to glance at system status, such as when updates are available. Some of you may have already seen this in previous builds, but don’t worry if not, we’re continuing to roll this out slowly and you will see it in an upcoming build. 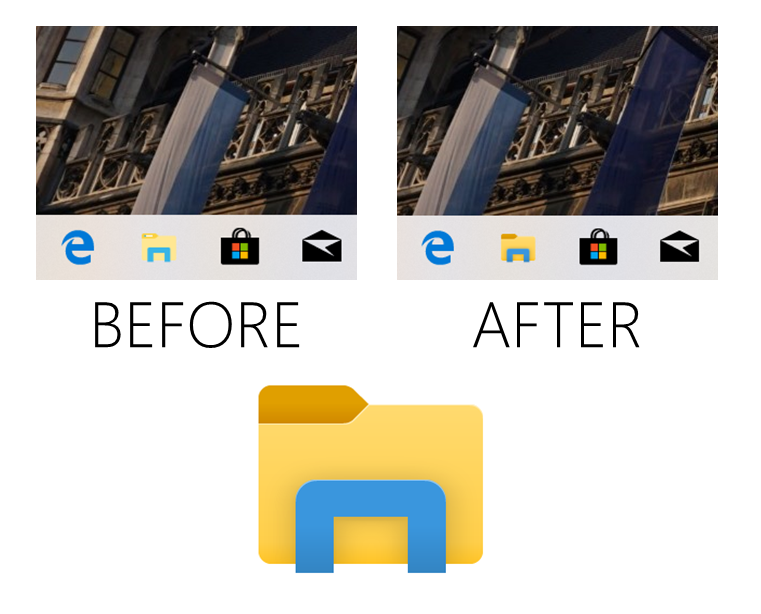 With Build 18272, we mentioned some Insiders may notice a few small changes to File Explorer. We promised details, and sharing the updated default downloads folder sorting was the first part of that. The second part of it is this: we’re trying out a new default date format in File Explorer! 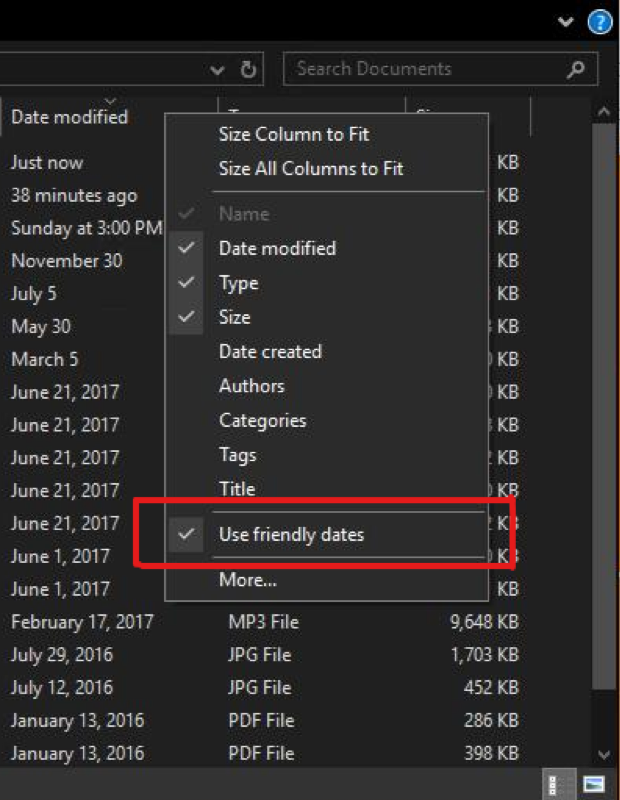 Called friendly dates, you can see an example of how it looks in the image below. Why make the change? The new format simplifies the date modified column, and provides consistency with other views that you see throughout the OS, apps, and on the web. We appreciate everyone who’s taken the time to share their feedback so far. 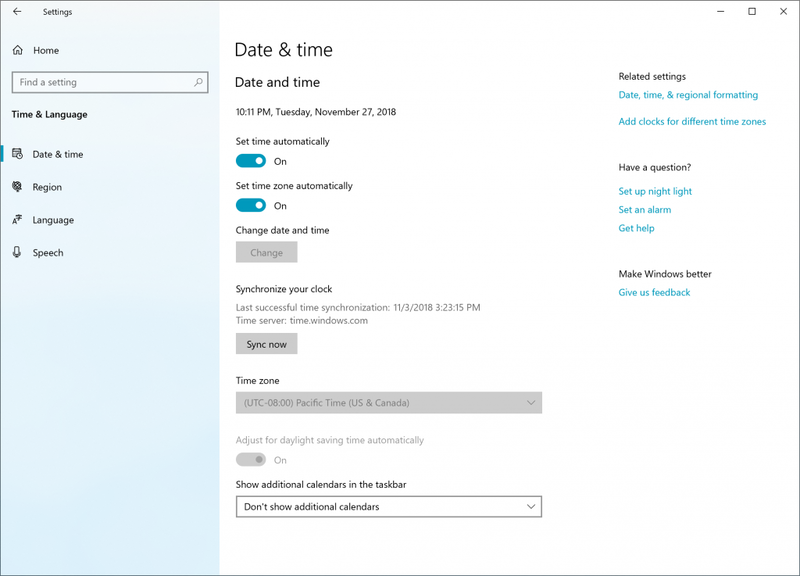 Based on your comments, in Build 18305, we’re making it a bit easier to turn off if it’s not your thing – you no longer have to dig through settings, you can now just right-click on the date modified column and toggle friendly dates on and off from there. Friendly dates isn’t yet available for everyone, so don’t worry if you don’t see it just yet – we’ll let you know when it’s live for all. As some keen-eyed Insiders have noticed, we recently started re-rolling out the shadows work we originally introduced with Build 17711. Shadows are part of our long-term vision of the evolution of Fluent Design, and we’re excited to bring them back to you today after addressing some of the feedback you shared with us following the initial rollout. Want just one to-do list that works twice as hard for you? 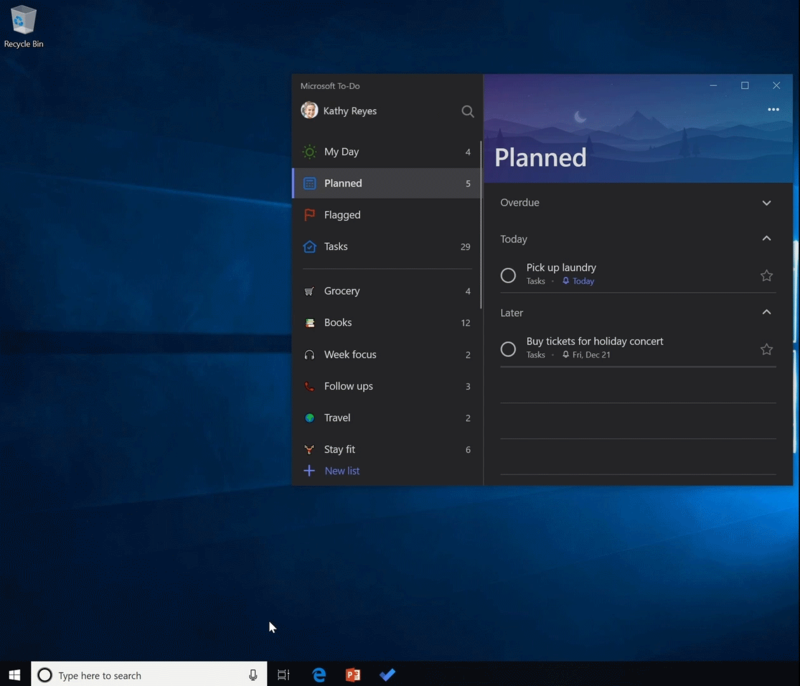 Save time and stay organized – Cortana helps by adding your reminders and tasks to your lists in Microsoft To-Do with this feature preview, so you can stay on top of what matters most. Use your voice, your PC, your phone – your choice. 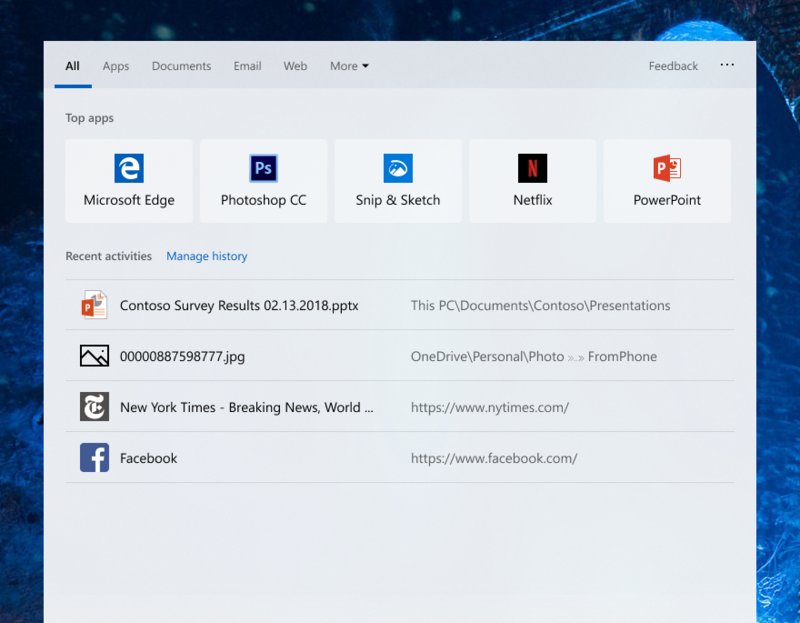 Streamline your tasks – your lists and reminders from across Microsoft To-Do, Cortana, and tasks in Outlook can now become one, centrally located in your Microsoft To-Do app. Use Microsoft To-Do anywhere: on your Android or iPhone, with Cortana, or on your Windows 10 PC. You can also access it from the web. It’s automatically synced so you never miss a beat. 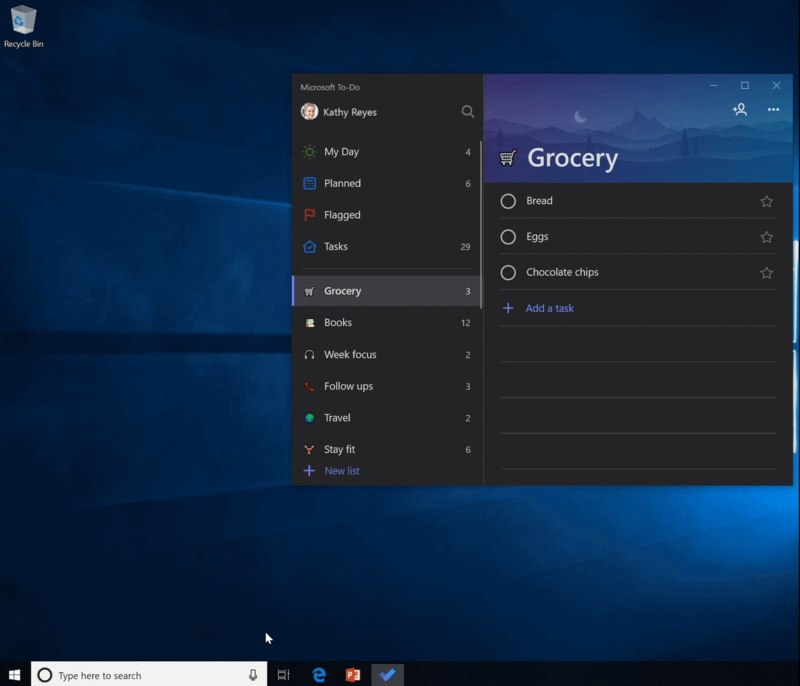 When you ask Cortana to add milk to your grocery list, it’ll show up on one of your Microsoft To-Do lists. With this integration, we are furthering efforts to seamlessly sync your to-do lists across Microsoft To-Do, Cortana, and your tasks in Outlook. To start syncing, your Windows 10 PC must be running Build 18267+ and tied to either the Australia, India, US, or UK region. Learn more about the Microsoft To-Do and Cortana integration. 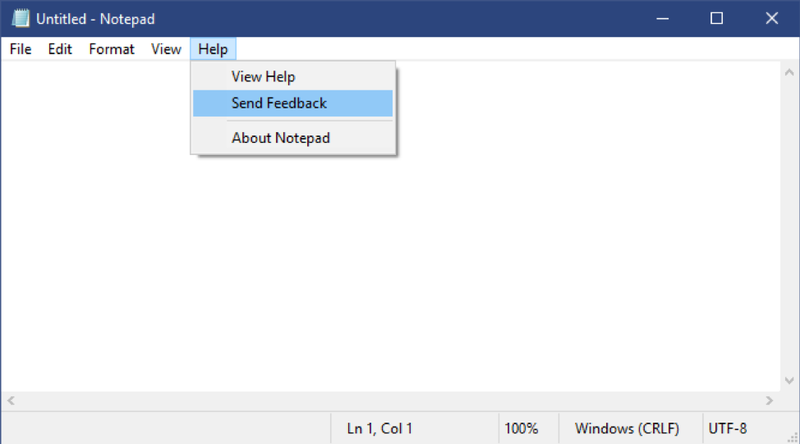 To share feedback, join the cohort or use the Windows Feedback Hub. If you’ve already altered the current sorting from the default in any way, we will not change it – this is only for people who haven’t changed it. If at any point you want to switch sortings, you can do so from the View tab in File Explorer. Some Insiders have had this change for a little bit now, and based on positive feedback we’re now rolling it out to 100% of Fast. As of Windows 10 build 18298, when you open the properties page of any Console window, you'll notice an additional "Terminal" tab containing several new settings for some experimental features we’re working on for future OS releases. Read the Console team’s detailed blog post for more details. Verbosity improvements: In settings, there are five new verbosity levels that control the amount of information you hear about text, controls, and other document attributes. Press Narrator + V to cycle through verbosity levels. When you don’t want to hear advanced information, you can turn off “Hear advanced information about controls when navigating.” You can also get the tooltip of the focused item by pressing Narrator + 0. Read URLs with a new command: Narrator will tell you when you’ve navigated to links, but it doesn’t read the entire URL aloud by default. If you want to hear the entire URL, press Narrator + 0. If the Narrator setting for “Hear advanced detail, like help text, on buttons and other controls” is checked, you will continue to hear URLs read out automatically. Combo edit support: Narrator now recognizes combo edit controls and will speak them as "combo edit" instead of just "edit." 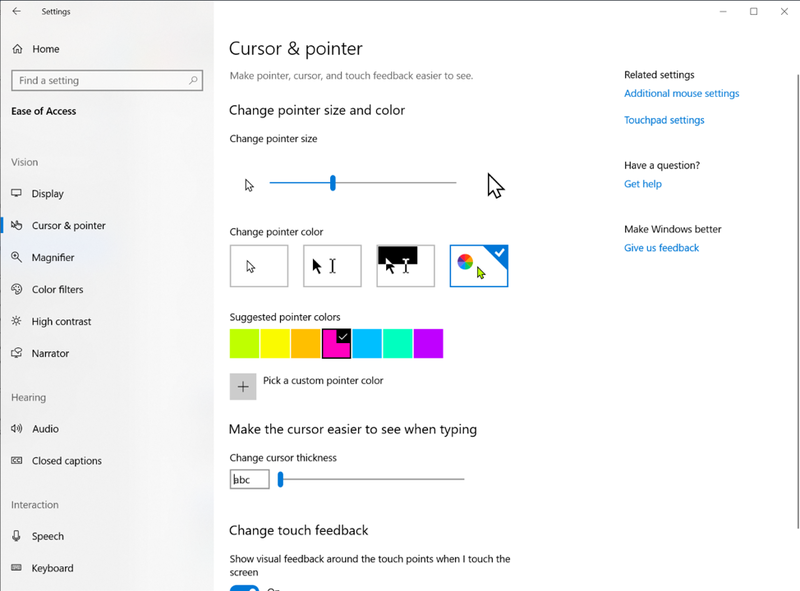 Bigger and brighter cursors: We’ve introduced new cursor sizes and colors to make Windows easier to see. Go to Ease of Access Settings (Windows + U), under the Vision category, select Cursor & pointer to see the list of options. We are still working on a couple issues where some cursor sizes may not work correctly on DPI’s larger than 100%. 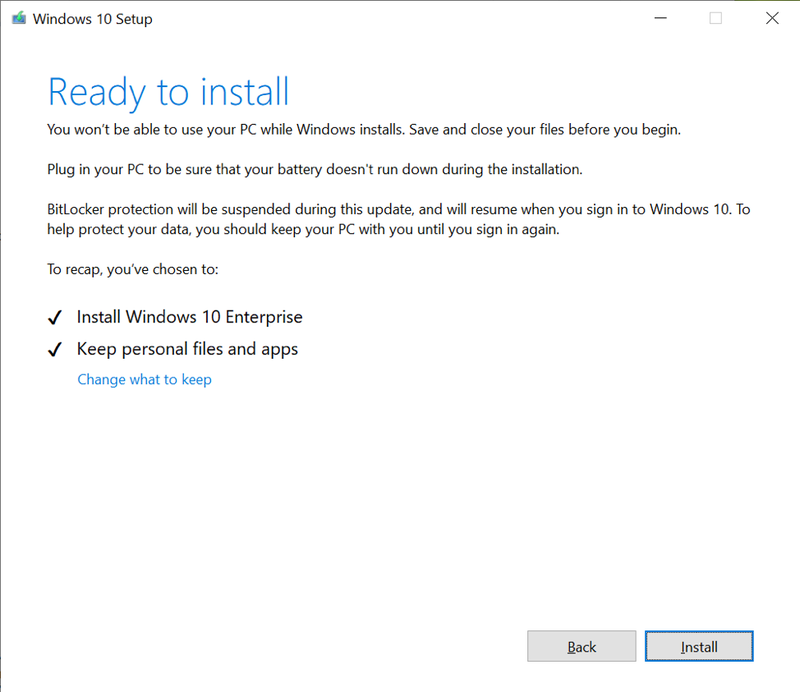 Windows 10 Setup for this build will not include the Microsoft logo, Support link, or Legal link in the bottom left hand corner of Windows Setup. The Retail release will include these and the links are included here for reference. Following up on our jump list improvements with Build 18282, when you update to today's build you'll notice we've polished up the power and user menus in Start as well – including adding icons for easier identification. In response to your feedback, we're adding an option in Date & Time Settings to manually synchronize your clock with the time server. This will help in scenarios where you think the clock might be out of sync, or if the time service has been disabled. We'll also show the last time that time was successfully synced, and the address of your current time server. This feature is currently only supported for non-domain joined PCs, although in today's build it will be visible on all devices. In Build 18252 we introduced a new mic icon that would appear in the notification area letting you know when an app was accessing your microphone. Today we're updating it so if you hover over the icon, it will now show you which app. Double-clicking the icon will open Microphone Privacy Settings. 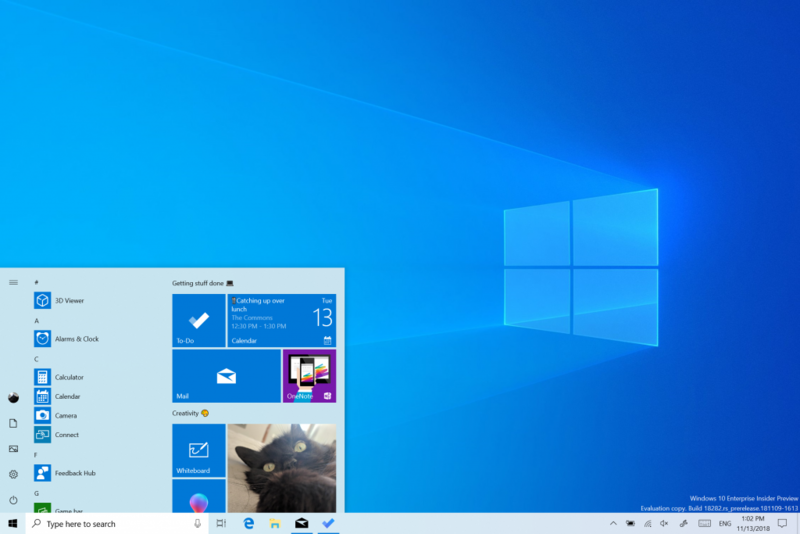 We're exploring some options for improving these experiences in Windows. When you start a search now, you'll notice we've updated the landing page – giving recent activities a bit more room to breathe, adding light theme support, a touch of acrylic and including all the search filter options as pivots from the get go. We'd love to hear your feedback – you can report issues and suggestions to us here. You may notice some other changes as we continue flighting, we'll have more details to share later. 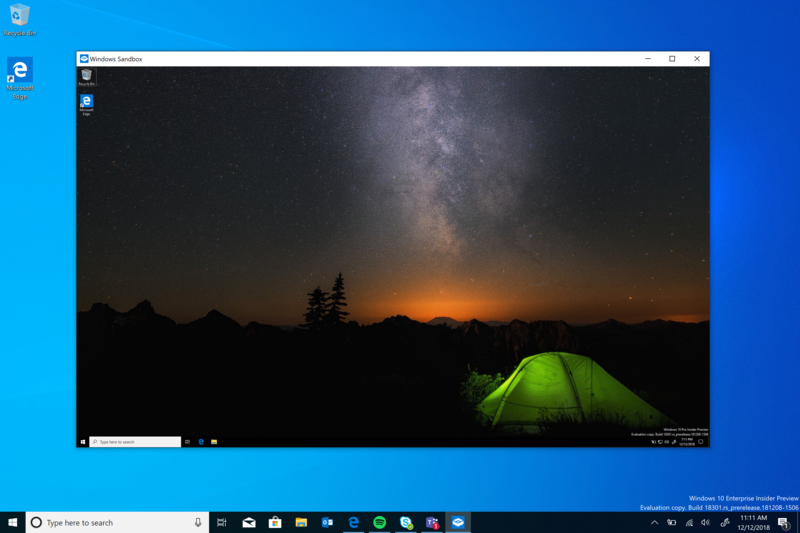 Ever since we introduced the ability to choose between light and dark in Windows 10, we've heard feedback asking for a truer separation between the two options. When you select Light under Settings > Personalization > Colors, the expectation is that the system color would be lighter too. And it didn't do that before – the taskbar and many other things stayed dark. Now, if you choose Light under Settings > Personalization > Colors, all system UI will now be light. This includes the taskbar, Start menu, Action Center, touch keyboard, and more. To try the full light experience, just select Light in the Choose your color dropdown. As part of this work we're also adding a new default wallpaper! Showcased above, you can use it on your PC today by going to Settings > Personalization > Themes and selecting Windows Light. This will also change your PC to be light themed. We look forward to hearing your feedback on the new light system color experience. However, please note that we're still working on "lightening up" different pieces of the OS and refining the experience. For example, the OneDrive icon in the notification area (system tray) is white, making it hard to see when you are using the light system color. Expect us to refine this experience. Start your snip via your preferred entry point (WIN + Shift + S, Print Screen (if you've enabled it), directly from within Snip & Sketch, etc. ), and select the window snip option at the top, and snip away! That selection will be remembered the next time you start a snip. Currently the window snipping experience is available for 50% of Insiders, as we want to ensure a smooth rollout – we'll let you know once it's live for 100%. What's next? Let us know what you'd like to see! This app update is now starting to roll out to people on Windows 10 version 1809! Please note that the borders feature is currently only supported on 19H1 builds, and like window snipping is currently only available for 50% of Insiders. Second: In order to improve clarity, we've updated a number of the printing options to now include icons to help you easily and quickly identify the one you're looking for. We've also added a line of description to some of the dropdown settings. 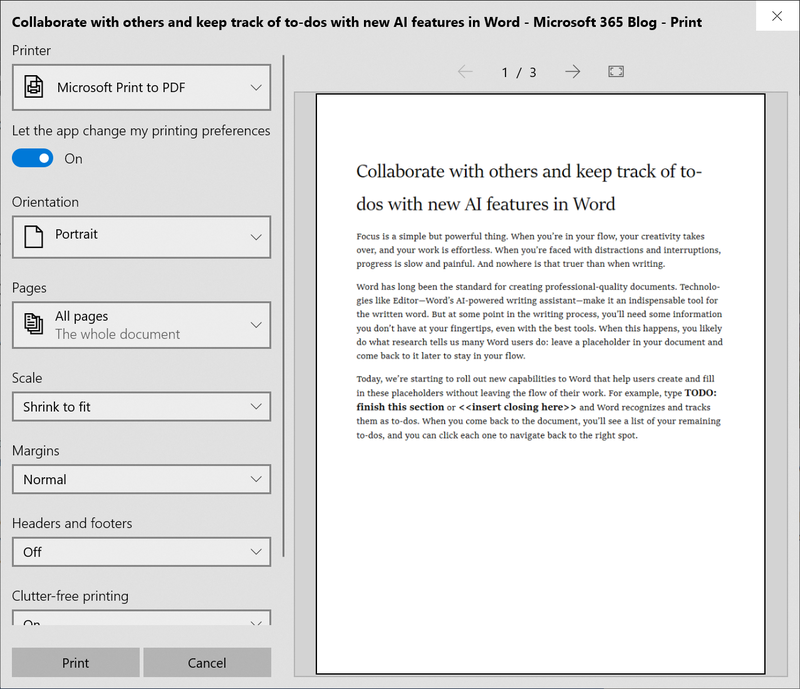 This can be seen in the Pages example below, and in other settings if you click More Settings at the bottom of the print dialog. If you have any further feedback in the printing space, please don't hesitate to tell us! You can log feedback for this in the Feedback Hub under Devices and Drivers > Print. Pause Updates: We're making the Pause Updates feature easier to find by surfacing the existing option directly on the Settings > Update and Security > Windows Update page. Just like before, when Pause is enabled, some updates, like Windows Defender definition updates, will continue to be installed. In addition, Pause can be enabled for either a pre-defined number of days or until the specific day (day selector is available on Advanced options page). 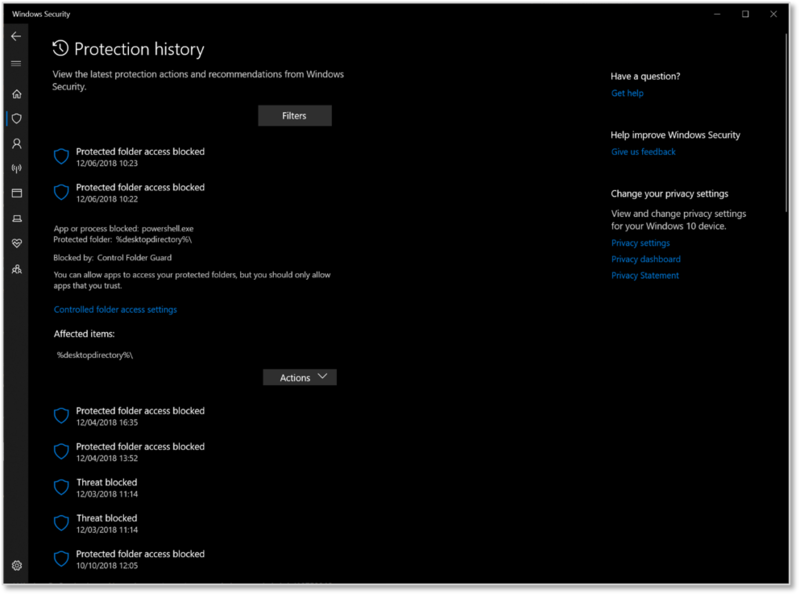 Intelligent Active Hours: Setting your active hours will let Windows know when to avoid rebooting your device. However, we understand some of our users have shifting productivity schedules and remembering to adjust Active hours can be a challenge. 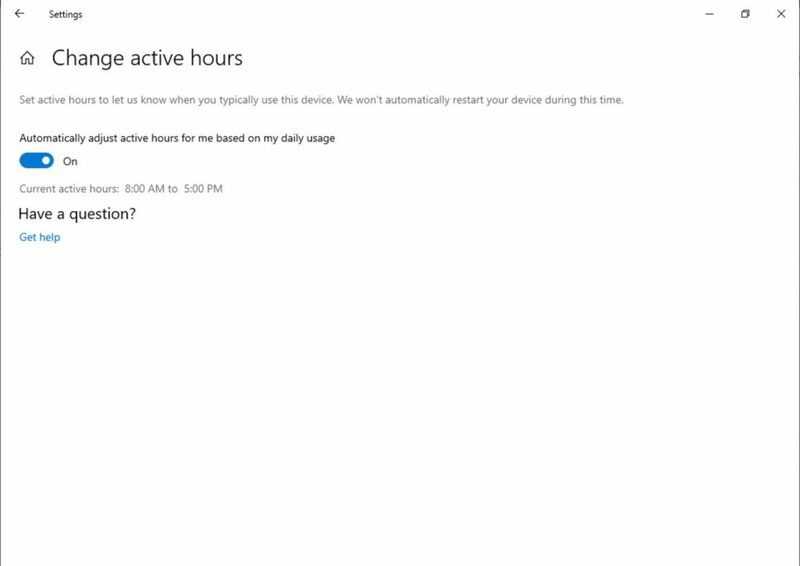 Now, Windows can automatically adjust active hours for you based on your device activity. Just go into Settings > Update and Security > Windows Update > Change active hours page to turn this setting on and know that reboots will not disrupt your productive time. We've heard your feedback about a specific case where a display can become brighter when transitioning from a battery charger to battery power. For 19H1, we're modifying the display brightness behavior so that this can no longer happen. If a person adjusts their display brightness, that brightness will now be remembered as their preferred brightness whether they are on battery or connected to a charger. This new behavior results in a more consistent and battery friendly experience. This does not affect battery saver mode settings; if a person has opted into lowering the screen brightness in battery saver mode, their display will still dim when the battery is below the threshold selected. Narrator character phonetic reading optimization: In a previous release, Narrator received support for reading characters phonetically. That is, reading out "a Alfa, b Bravo, c Charlie" while navigating "abc" by character. Since then, we have received feedback that you didn't want to hear the phonetic information announced automatically. Instead, this should be an on-demand feature, to be called upon only when you needed it. In this release, we will no longer announce the phonetic information automatically. As you navigate by characters, this information will be omitted. If you need the phonetic information to disambiguate characters, you can issue a command to hear the phonetics. Use the keyboard command of Narrator key + Comma twice quickly. If, for example, you are using the Standard Keyboard layout with the default Narrator key setting of “Caps Lock or Insert”, you would issue the command of Caps Lock + Comma (or Insert + Comma), where the Comma key is pressed twice quickly while depressing the Caps Lock (or Insert) key. 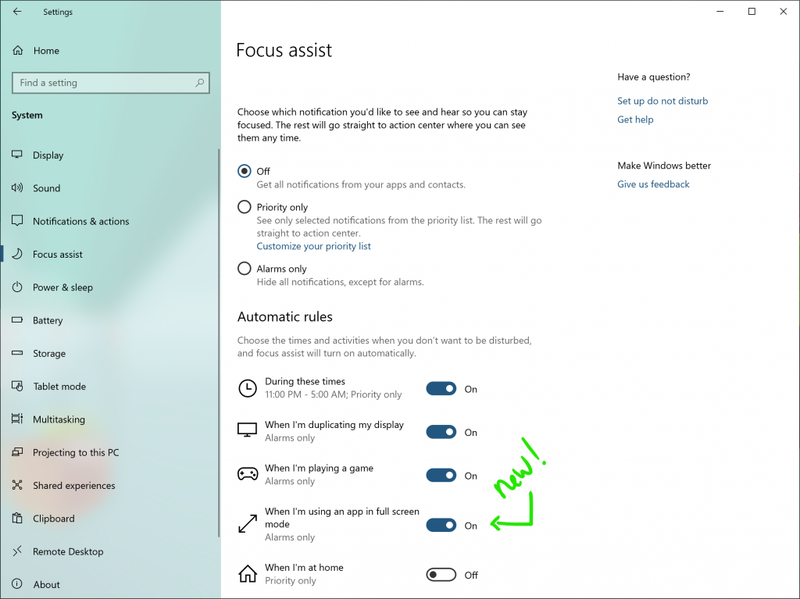 Like our other focus assist settings, this can be found under Settings > System > Focus Assist. Make sure you take a moment to customize your priority list to ensure any notifications you want to break through the rule will appear! If you'd like to turn off the warning notification that's shown in Action Center after entering focus assist, you can do so by clicking the rule in Focus Assist Settings which prompted the notification. One of the top requests we've heard from you is that you'd prefer the brightness Quick action to be a slider instead of a button, and with today's build we're making it happen! We'd love for you to try it out and share feedback! The complete list of emoji for the Emoji 12 release is still in beta, so Insiders may notice a few changes over the coming flights as the emoji are finalized. We have a bit more work to do, including adding search keywords for the new emoji, and adding a few emoji that aren't finished yet. In 19H1, we're enabling this setting by default, to help automatically address some of your scaling feedback, and reduce the number of times you see that “Fix blurry apps” notification. We'd love your feedback! Notice that some of your apps seem blurry after docking/undocking, or other mixed DPI scenarios? You can let us know by reporting it at https://aka.ms/scalingfeedback! 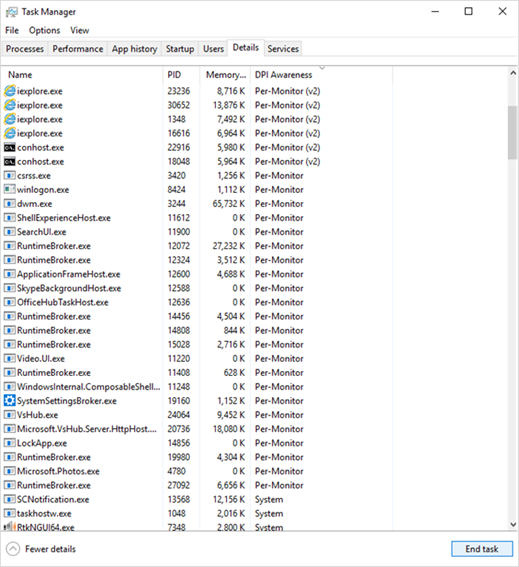 If you're interested to learn whether or not an app is DPI aware you can find out using this feature we rolled out to Task Manager a few flights ago. You'll notice that each text prediction candidate now has an index so you can quickly select it, just like the conversion candidates! We're looking forward to you trying it out, and that's not all! As part of this work, all of your familiar Japanese IME settings have now been fully integrated into Settings. 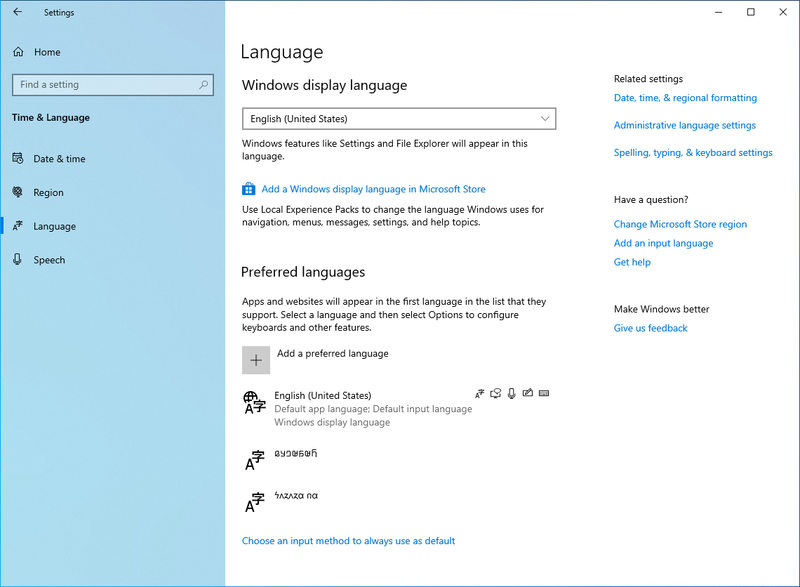 If you'd like to check them out, fastest way there is to right-click the IME mode indicator in the taskbar and select Settings, although you can also get there from the Language Settings page. Some Insiders have had this change for a few flights now, so we wanted to take a moment to say thank you for all of your great feedback so far! Please don't hesitate to continue sharing thoughts with us about typing in Windows – our ears are open and we'd love to hear from you. Recently, we announced an exciting preview in the US that allows you to call up Cortana on Amazon Alexa Echo devices – and Alexa on your Windows 10 PC. You can, for example, enlist Cortana through an Amazon Alexa Echo device to tell you your next meeting or have Alexa order groceries through your Windows 10 PC. Now, we'd like to take the experience even further with the help of Windows Insiders like you. Just start by completing this short survey. 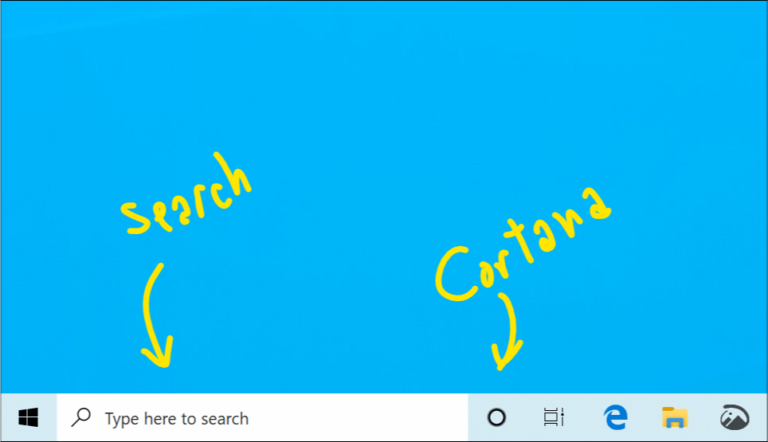 If you haven't already tried it out, simply click the microphone icon in Windows Search on your Windows 10 PC and say ‘'Hey Cortana, open Alexa'. Or, on your Amazon Echo device, say “Alexa, open Cortana” on Echo devices. (Then let us know what you think in the Feedback Hub.) For more, see our [AI blog](https://blogs.microsoft.com/ai/alexa-cortana-public-preview/. Security shouldn't be intimidating, and we aspire to help you eliminate passwords. That's why we want to make sure you can easily set up your first line of defense securing your device with Windows Hello. Your feedback that the previous design was cluttered, and confusing is what drove us to simplify the Sign-in options Settings. We believe this update will help you choose the safest and fastest sign-in option for your needs, whether that's using a PIN or a biometric factor like fingerprint or facial recognition. If you're a touch keyboard user that writes in any of these languages, please try out the text predictions and shapewriting in this build and let us know how it feels for you. If you'd like to compare how the keyboard feels with and without this change, check the options for supported languages under Settings > Devices > Typing > Suggestions and Autocorrections. Using a physical keyboard? 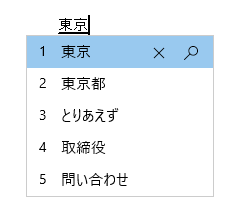 Hardware keyboard text suggestions are also supported with the above languages now. Text suggestions for the hardware keyboard is a learning tool we originally introduced in RS4, and expanded language support for with RS5. If you'd like to try it out in one of the supported languages, you can do so by enabling the Show text suggestions as I type feature under Settings > Devices > Typing. Indic Phonetic keyboards now available for PC: Do you write in an Indic language? We've heard your feedback, and in addition to the Indic Traditional INSCRIPT keyboards already available, with today's build we're adding Indic Phonetic keyboards for Hindi, Bangla, Tamil, Marathi, Punjabi, Gujarati, Odia, Telugu, Kannada and Malayalam! How does a phonetic keyboard work? Basically it's a convenient way of typing that leverages the English QWERTY keyboard – as you type, we use transliteration to suggest possible Indic text candidates. 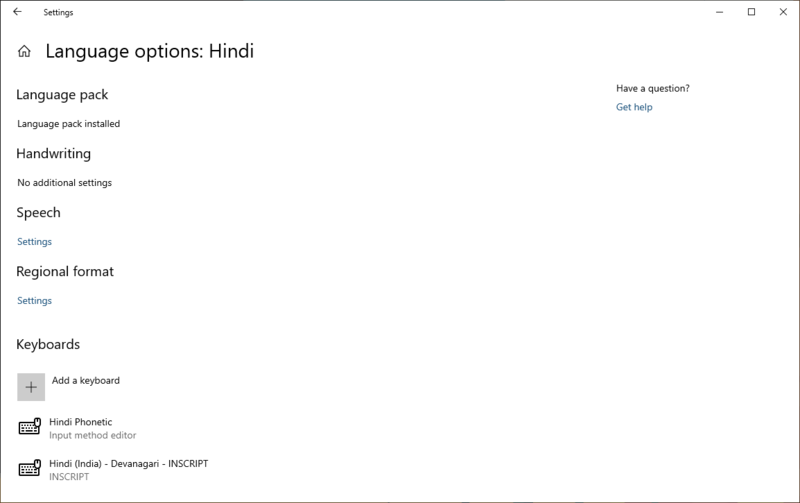 Type the name of an Indic language into the search box and select it – for example "Hindi". Click Next and install the Indic language on your device, which will return you to the Language page. Now back on the Language page, click the one you just added, and then click Options. This will take you to that language's options page. You need to download the dictionaries used for the Indic Phonetic keyboards. Right after adding the keyboard, please connect to Internet – you may need to wait a bit for the dictionary download to finish. It will work even if you have character echo option ("Hear characters as you type") disabled, and it will work in edit fields as well as password field. By default, Narrator will always alert you regardless of presses of the Shift key as you type alphabetic characters. But you can choose to only be alerted when you press the Shift key together with an alphabetic character, or you can disable the feature altogether. Vietnamese Telex and Number key-based keyboards are now available on your PC: Do you write Vietnamese? We want you to have the best possible typing experience, so we're happy to announce that with this build you can now use Vietnamese Telex and Number-key based (VNI) keyboards for typing Vietnamese! Bringing these keyboard options to PC has been one of the top feature requests in the input space, so we're looking forward to you trying it out! Select the + icon labeled [Add a preferred language] (or skip to step 4 if Vietnamese was already added). Type Vietnamese in the search box and select Vietnamese. Click the Next button and install Vietnamese on your device, which will return you to Language page. Click Vietnamese, and then click the Option button, that will allow you to navigate to Language options: Vietnamese. Select the + icon labeled [Add a keyboard] (or skip to step 7 if your target keyboard was already added). More symbols are now available on the touch keyboard: Now you can easily access more symbols and special characters directly from touch keyboard. After changing to the number & symbols view (&123) on the touch keyboard, just tap the new ‘Ω ‘ key and you'll now see a number of tabs with lists of symbols. 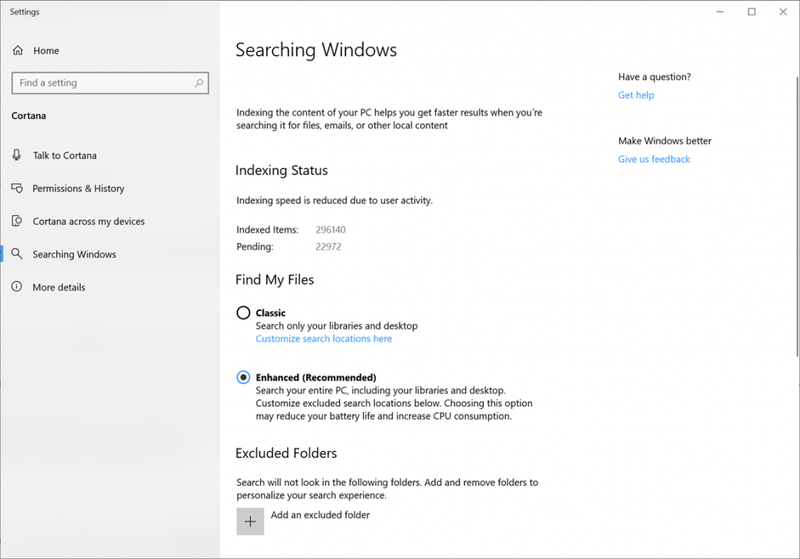 When the indexing is complete, you'll be able to find all your files almost instantly when you use Windows Search. To exclude a folder from search, add it to the Excluded Folders list. Thanks for your feedback about search and the indexer. These improvements were made because of your input. Keep the feedback coming! To show the column, right-click on any of the column headers in the Details tab, click Select Columns, then add DPI Awareness to the list. To learn more about DPI Awareness, see High DPI Desktop Application Development on Windows. Don’t feel like troubleshooting? We’ve got you covered. 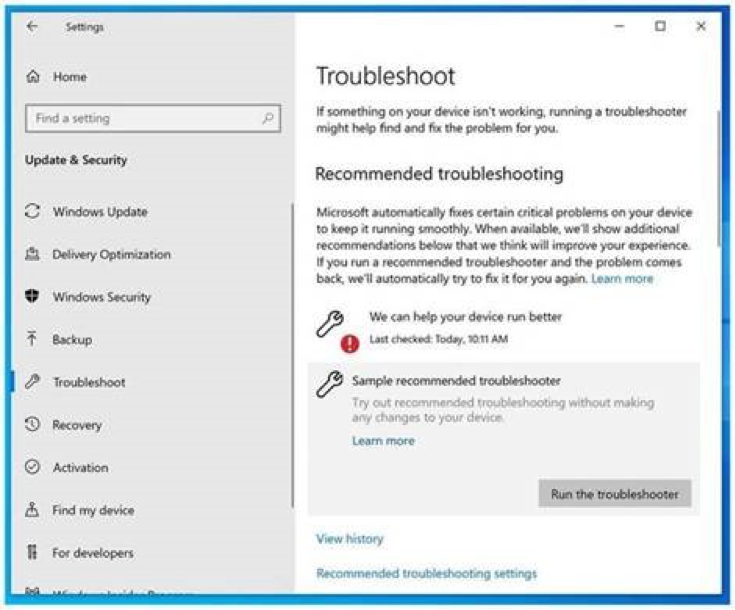 In previous releases, if you noticed your PC was having a problem, you would have to find the right troubleshooter and then manually walk through all the different steps to resolve it. We hear your feedback that the time that takes to do can be frustrating – why not just automatically fix issues that you know how to fix and can detect? We agree! 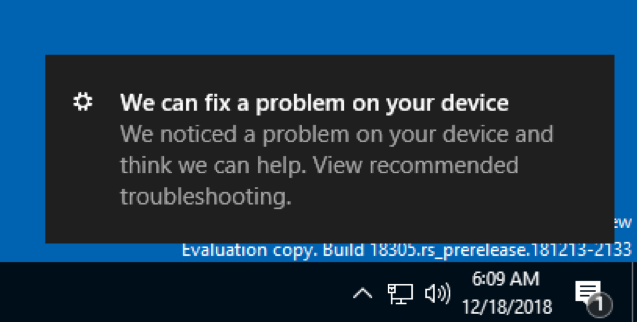 If an issue occurs we want to get you back up and running as quickly as possible, so with Build 18262 you’ll find a new recommended troubleshooting setting under Settings > Update & Security > Troubleshoot in Build 18262. This feature uses diagnostic data you send to deliver a tailored set of fixes matching problems we detect on your device and will automatically apply them to your PC. We’re still hard at work on this feature so it’s greyed out right now in Settings, but stay tuned for updates in future builds! Narrator Read by Sentence: You can now read next, current and previous sentences in Narrator. Read by sentence is available with the keyboard and with touch. Move by sentence doesn't yet work for Braille. Caps + Ctrl + M to Read previous sentence Sentence is now a new Narrator view and can be reached via Caps + Page Up or Caps + Page Down and then you can navigate with Caps + Left arrow for move by previous sentence and Caps + Right arrow for move by next sentence. 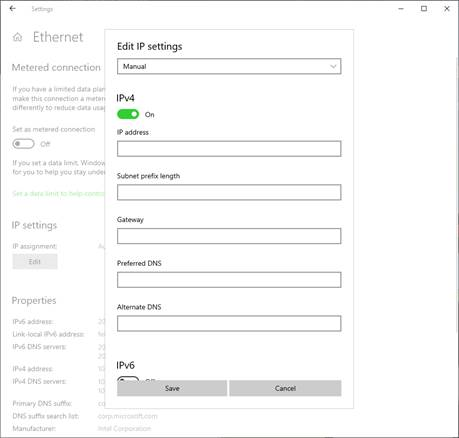 You can now use the Settings app to configure advanced Ethernet IP settings. We have added support for configuring a static IP address as well as setting a preferred DNS server. 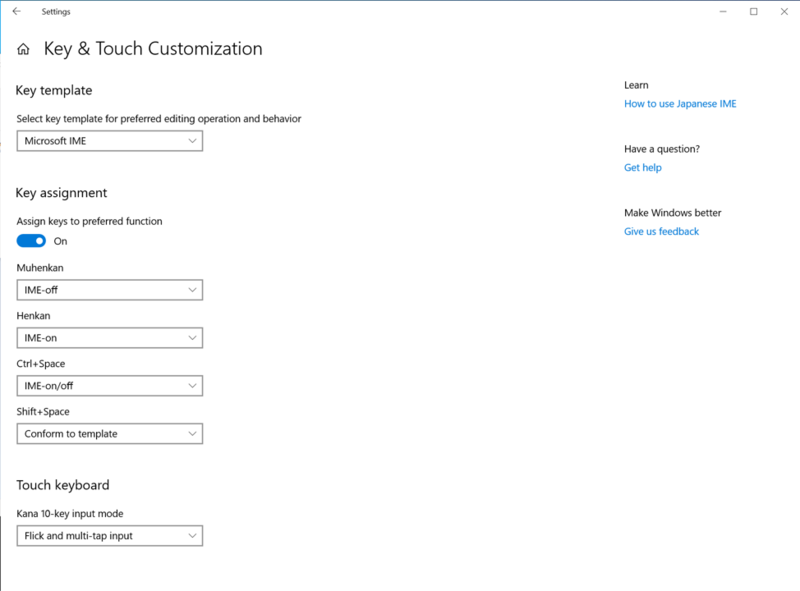 These settings were previously accessed within Control Panel, but you will now find them on the connection properties page under IP settings. First seen on Always Connected PCs, we brought the disconnected internet icon to all devices running Windows 10. This single icon appears when there is no internet connection detected, and replaces the individual disconnected icons for Cellular, Wi-Fi, and Ethernet. This new icon should help you quickly identify network problems so that you can take action to resolve them. 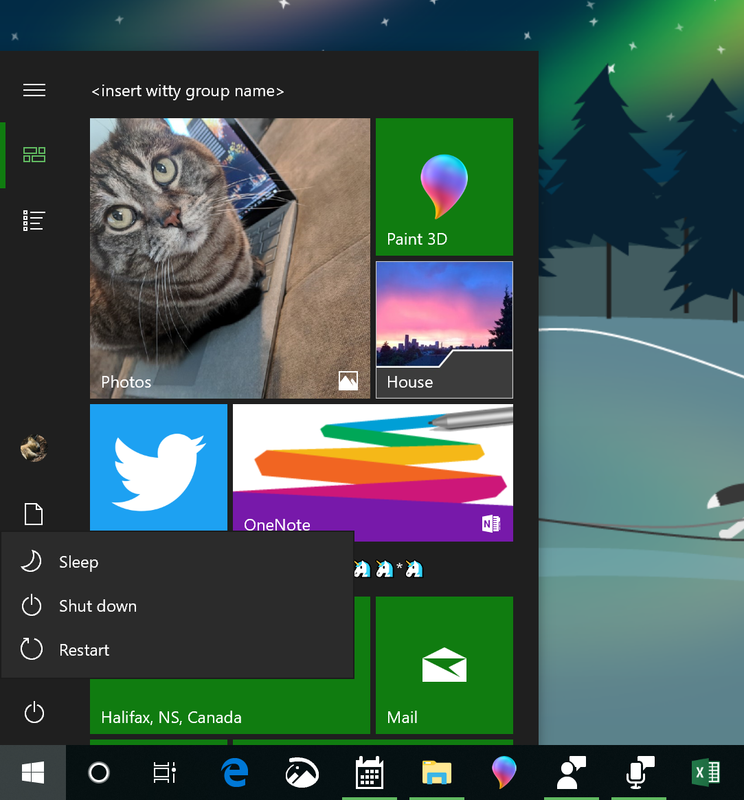 The Windows sign-in screen now supports acrylic, a type of brush from the Fluent Design System, to the sign-in screen background. The translucent texture of this transient surface helps you focus on the sign-in task by moving the actionable controls up in the visual hierarchy while maintaining their accessibility.